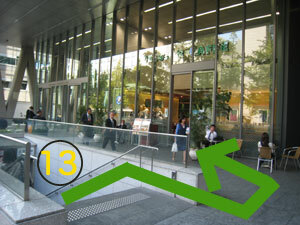 It takes 2 minetes from No.13 exit of Yodoyabashi Station (Osaka Subway Midosuji Line). 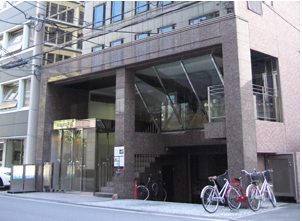 Kono Dental Clinic is on the fourth floor in a seven-story brown building. Get off at Tosabori Exit of Hanshin Highway. Turn left and go south 1 minutes. 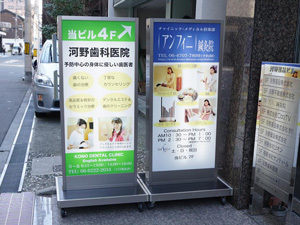 Kono Clinic is on the fourth floor in a seven-story brown building. 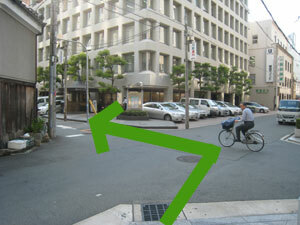 Turn right at 3 cho-me Doshomachi Signal. 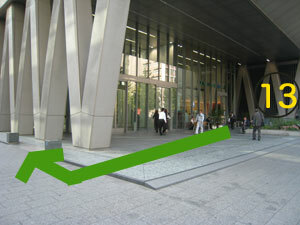 Immediatly turn right at next crossroads. Please get off at Yodoyabashi station of Osaka Subway Midosuji Line. 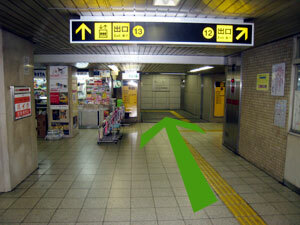 １) Please get off the train at Yodoyabashi station. 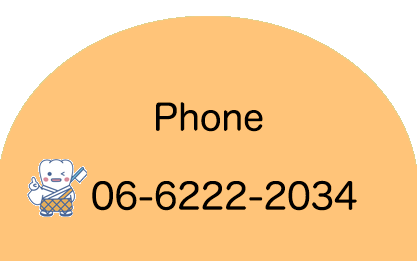 Go out the ticket wicket and turn right. 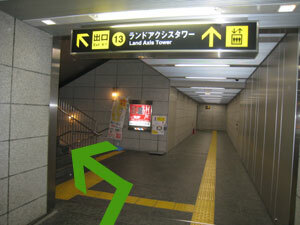 Please head for the 13 exit. 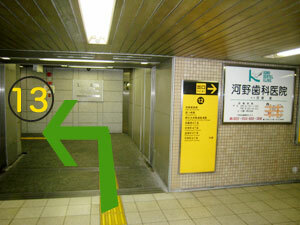 ２) When you walk up the stairs, you can find a cafe on the left. 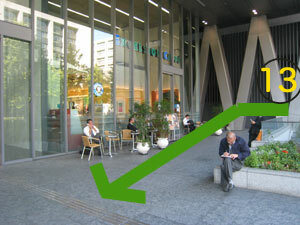 ３）The cafe is in the “LAND AXIS TOWER” building. 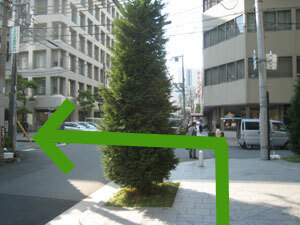 Please turn right at the corner of the building. 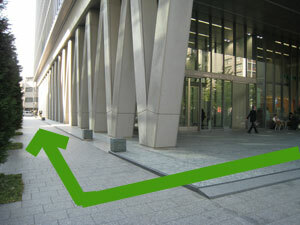 ４）Please walk along the building. 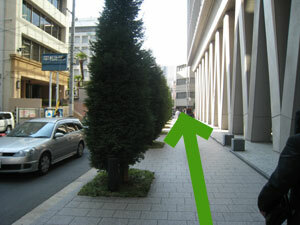 ５）Please turn left at the first corner. 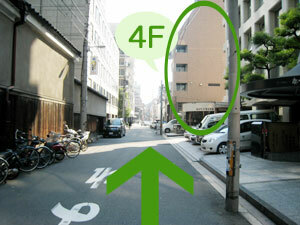 ６）When you walk straight, you can find a seven-story brown building on the right. 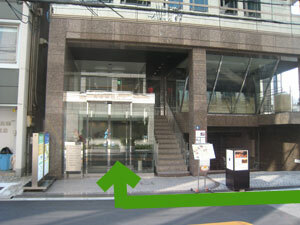 Kono Dental Clinic is on the fourth floor in the building.